I've still been working on our home office makeover, and it's nearing completion! 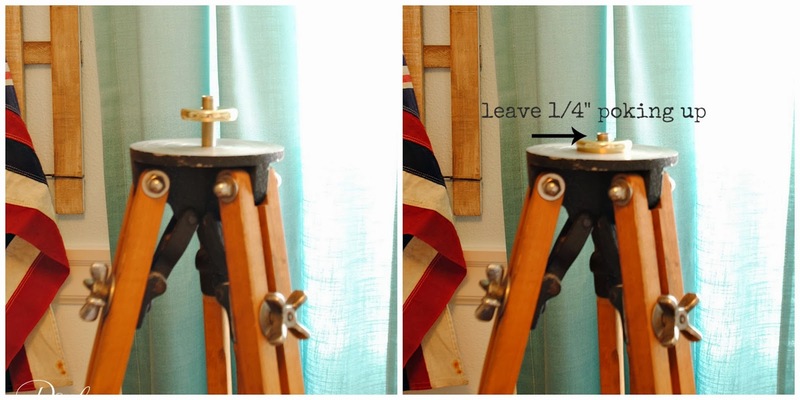 Over the weekend, I made a lamp out of a vintage tripod my dad passed on to me. 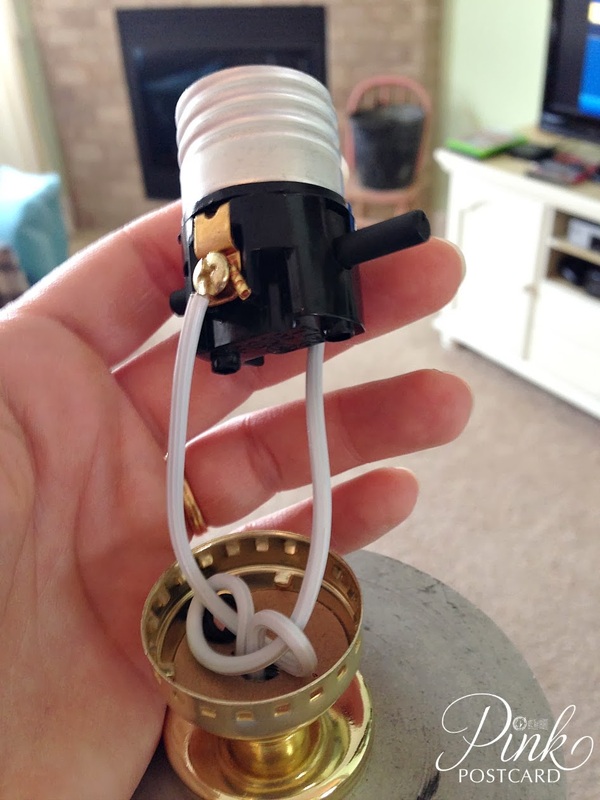 This is a relatively simple DIY project to complete, and I'll share some fixes that I couldn't find when I was researching how to do this one. First off, you need a tripod. Mine was free since it was a hand me down from family, but you can find these online on sites like Etsy, Ebay, or if you're diligent, at yard sales. Next, you'll need a lamp kit, available at hardware stores. This cost around $11 and has pretty good instructions on the back of the package. The first snag I hit when I attempted to start the transformation was this metal spring in the center. It's where the camera / scope was screwed on originally. No problem, I'll just unscrew it. This pops up and down like a pen with a clicker, but it won't unscrew. Using a metal drill bit, we attempted to drill it out. It may have helped, but mostly it helped make the hole bigger that we needed for the wiring. Drilling might have gone on for awhile until we decided to use an awl (sharp pointy piece of steel used to sink nails) and a hammer to pop out the spring. 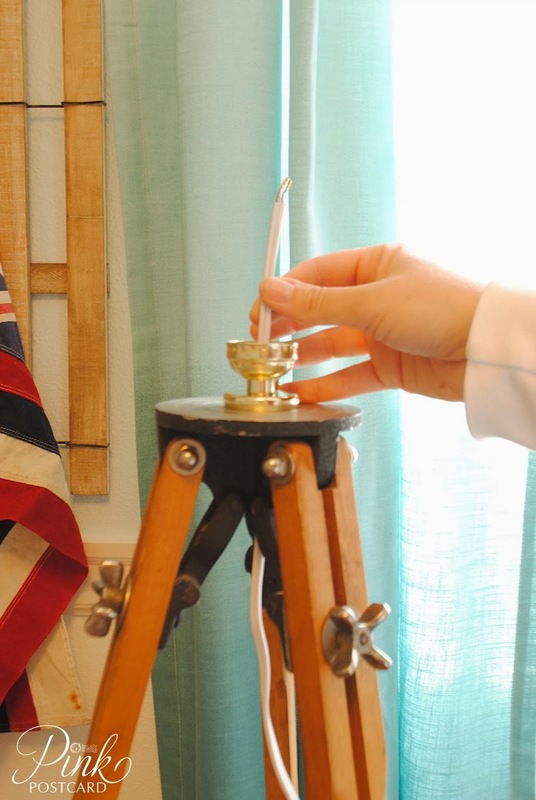 It may have been both aspects, maybe just the awl, but either way it did the trick. That was one solution I couldn't find online. We pretty much followed the instructions on the lamp kit packaging, but here's a visual. First, you won't need these. 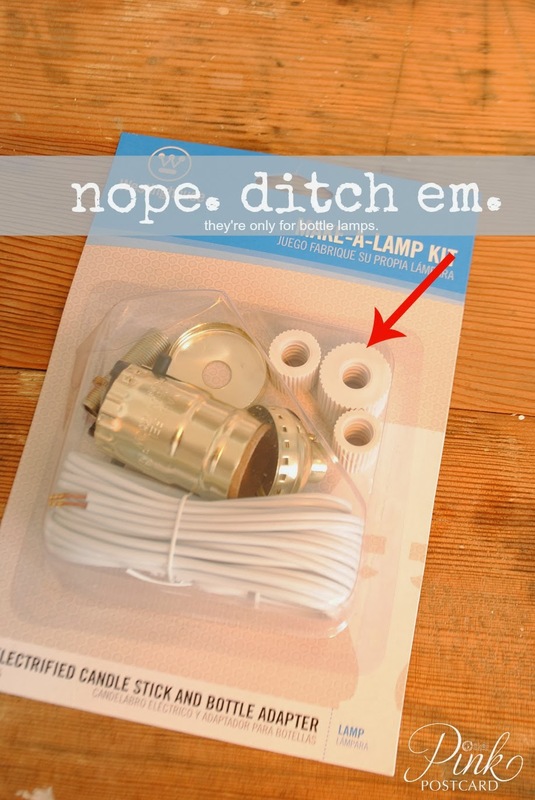 They are only used if you are making a lamp with a bottle. Using the hollow threaded screw and cap, put these into the center hole and leave 1/4" poking up top. I screwed it in but also lightly tapped the hollow screw in with a hammer to get it in where I needed it. Add the cap over the screw. 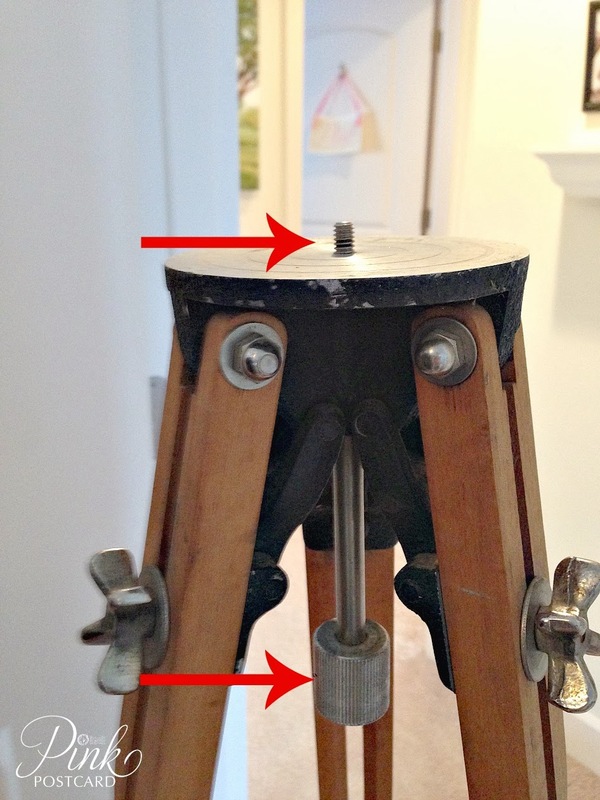 Take your electrical wiring and poke through the screw and cap from the underside of the tripod. You will need to follow the diagram on the package to make a fancy wiring loop, but it was pretty easy. Next, take your wires and identify the wire insulator (in my case, the white plastic casing around the wiring) with ribbing. At first I couldn't tell any difference between the two wires because it was pretty subtle. Taking this photo made it crystal clear. Following the package directions, attach the ribbed wire to the appropriate colored screw on the underside of the housing. I didn't get any specific photos here, but there was a silver screw and a coppery colored one, and each wire needs to be wrapped around the right one. Again, refer to the package instructions to tell you which one goes with which. Kind of like when you have a dead car battery and you have to use jumper cables. Use the right connection so you don't get shocked! Finally, you can slip the cardboard collar into the metal switch collar, put it over your wiring, and screw it into the base. Other than getting slightly confused over which wire was which, it was really simple, and took me maybe an hour start to finish. I purchased an Ikea lamp shade (Jara). It's nice and oversized (18" across) which is what you want to complete the look. 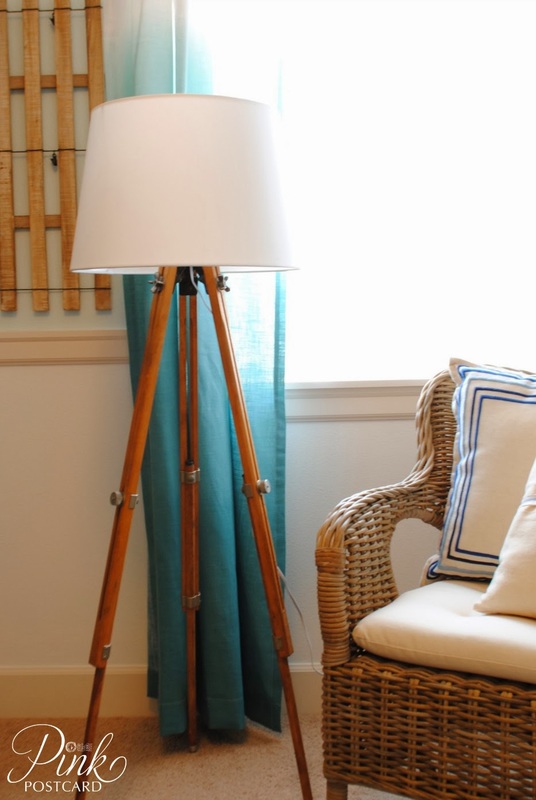 A regular lampshade (even the big size) is too puny to pull off this look. Also, a stripped down wire shade would also look amazing if you wanted a totally industrial look. It lends great character to the room, and I love that I got something from my dad's collection of vintage stuff. I'm hoping to finish up a couple more elements to the room, and have the reveal up soon. We had a big snowstorm last week, so a lot of what I hoped to have done had to wait while we snuggled in for the latter part of the week. 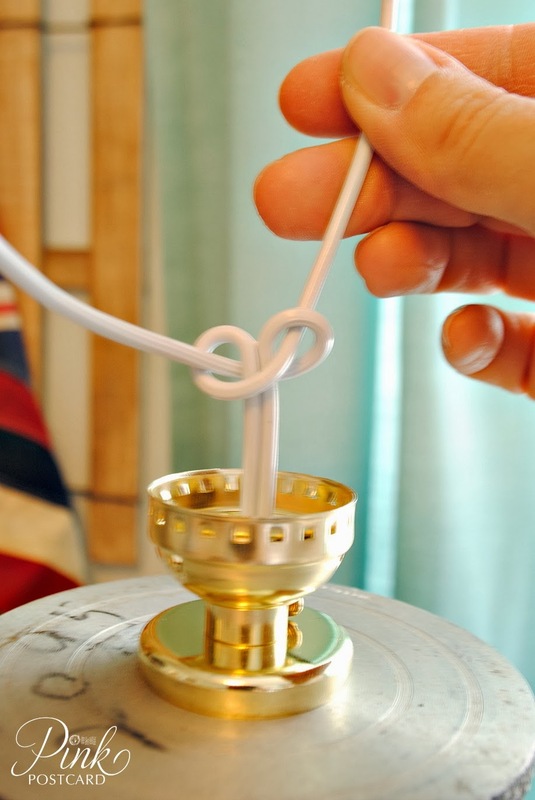 If you have questions on how to put the lamp together, let me know and I'll put the answers in the reply section of comments so others can see the solutions. Thanks for letting me share this fun project with you. Thank you! Thank you! Thank you! I've been sitting on a tripod for 2 years too scared to make a mistake! Thanks for the super easy directions. I am on it. that is awesome!!! it looks so cool! I love it! I am on the look out for a tripod now! What a great tutorial. 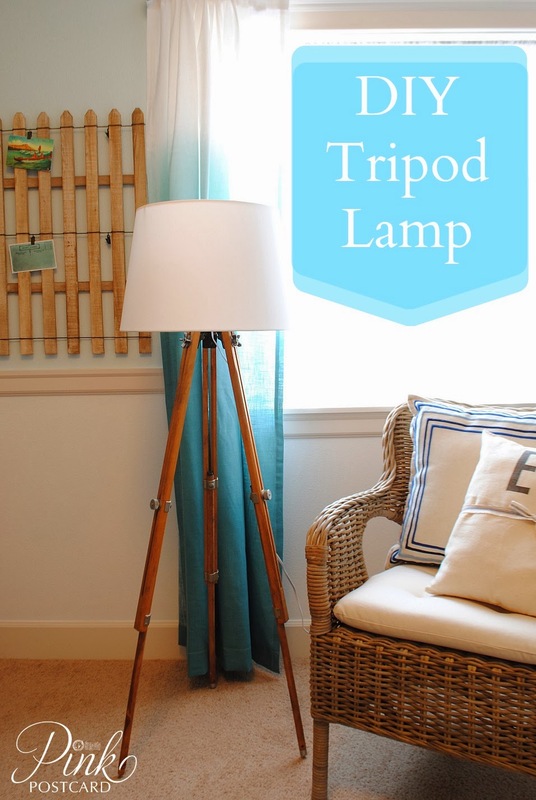 I found a tripod lamp for our shop wholesale and it was still rediculously expensive. I differently will try this. I'm always so afraid of desiring anything. This makes it look so easy. 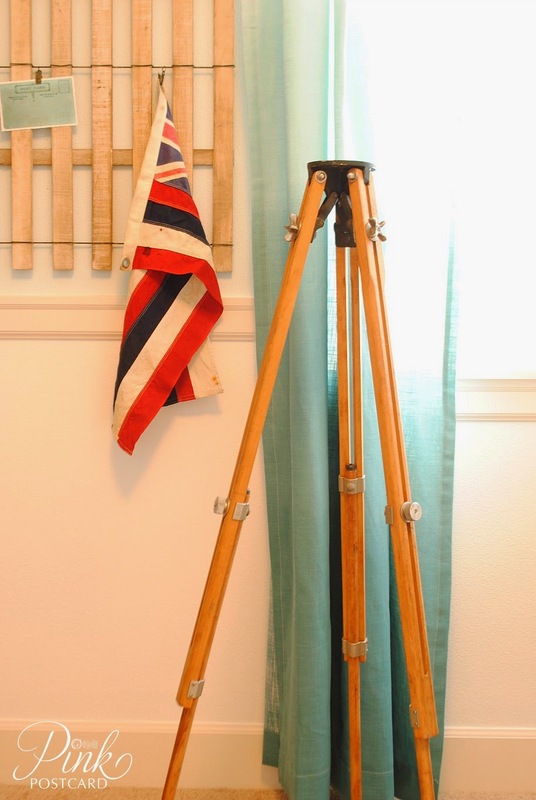 I have been on the lookout for a tripod for a while now, how lucky you had one in the family! Your instructions and photos are awesome. Thanks for the inspiration. Totally pinning this-it's so cool! And even cooler that you had that tripod handed down! Would love for you to share at Fridays Unfolded! What a great idea Denise! My husband I think would like one of these for his office. Thanx for sharing at THT! have a modern (newer) tripod. The top is a solid piece that holds the camera, and there is a handle for changing positions of the camera. I was able to unscrew this housing to the very top of the center bar, but it will not come all the way off. 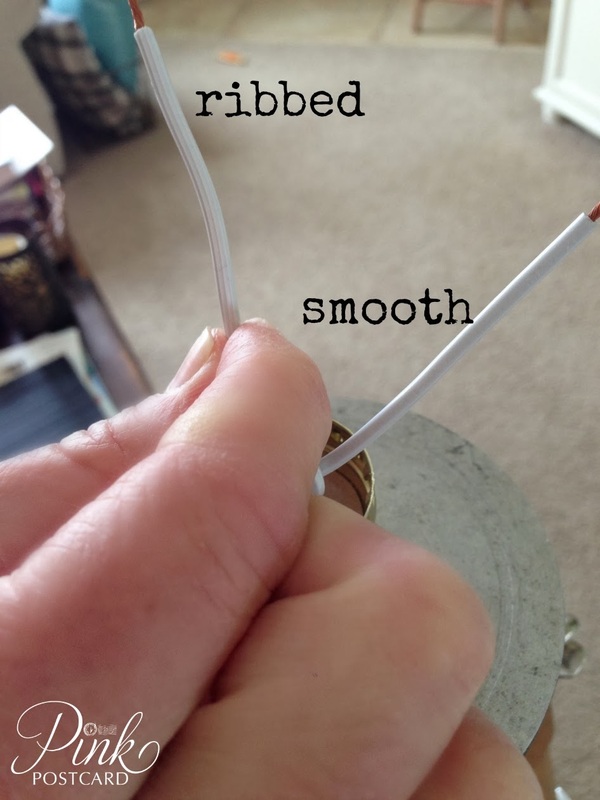 Even if I got it off there is a plug with a hook at the other end I would have to get out, to put the cord through. Any suggestions? I am afraid if I force either end it may just brake and I won't be able to every get it apart. I had hoped to avoid drilling. Thank you. Your site is very inspiring. Hi Darlene! Without seeing it, it's hard to give any suggestion on how to tackle it. I'm assuming if it's a newer tripod the spot you're looking at is metal? I'm not sure what the hook part would be....hmmm....it is a tricky one. Not sure I'm much help for you here! sorry! I would see if you know of someone who is a handyman or woman who might be able to take a look at it. My dad was the one that was able to take a look at it and suggested the drilling for us. Thanks for your visit and comment. I hope it works out for you!